Small detached guest homes or attached guest suites are commonly referred to as casitas. 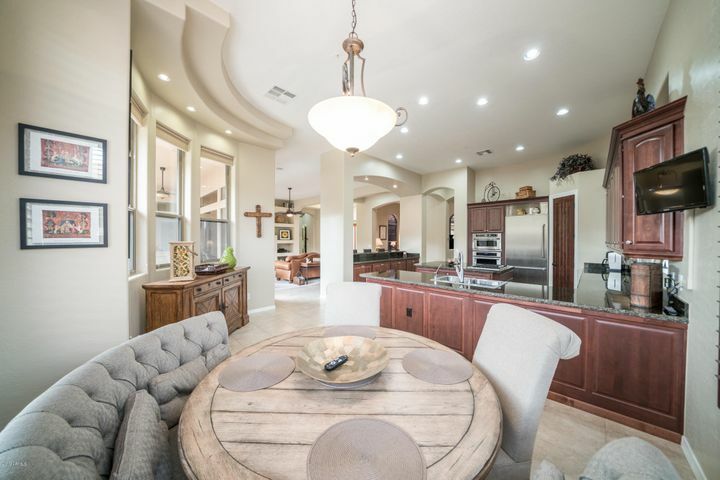 Many Scottsdale homes include casitas and are a highly attractive feature. A casita can be a simple combination of a bedroom and bathroom, or something more elaborate with multiple rooms including a living room or kitchenette. Many home buyers in Scottsdale value the convenience of homes with casitas. A casita can serve as a separate living quarters for out-of-town guests, elderly parents or older children. Casitas can also be used as a work space for those who work from home. Many Scottsdale homeowners use casitas as detached offices or art studios. There are a number of Legend Trail homes for sale that feature spacious casitas. Imagine having friends and family visit and be able to stay in their own private guest home. This is just one of many fine luxuries that can be found in Legend Trail. If you would like further information about Legend Trail homes with casitas, contact us or email Carmen Brodeur at Carmen@TopScottsdaleHomes.com. Legend Trail is a master planned golf community nestled in the quiet region of North Scottsdale. Serene and scenic, the community acts as an oasis for golfers, nature lovers, retirees, families and anyone else seeking an escape from urban congestion. Residents enjoy an active resort lifestyle combined with a close sense of community. Legend Trail amenities include an outstanding golf course and restaurant, numerous walking trails, two resort swimming pools, lighted tennis courts and a fitness center. Carmen Brodeur is a full time realtor in Scottsdale. She is known for her friendly attitude and dedication to her clients. Carmen prides herself in her ability to make the process of buying a home pleasant and pain free. If you want to arrange a viewing of any Legend Trail homes, Carmen would be more than happy to schedule a time with you. Contact her at Carmen@TopScottsdaleHomes.com or at (602) 791-0536.